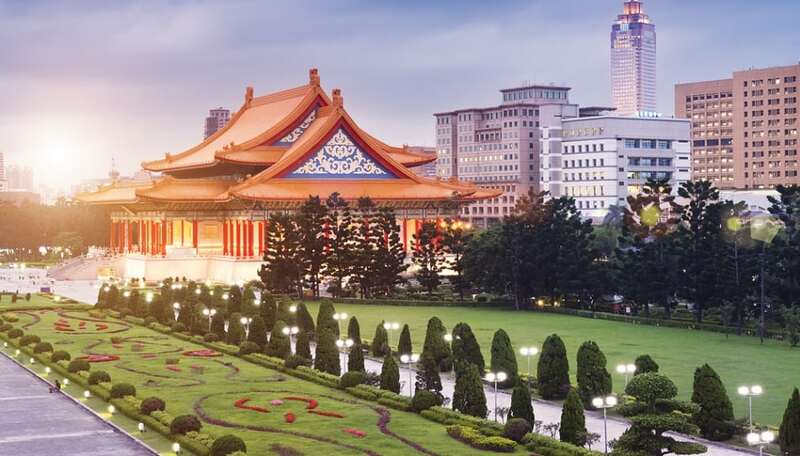 Located in central Taipei, Liberty Square is Taiwan’s biggest public square. It has famous neo-classical Chinese landmarks, gates and gardens. It is next to the National Theater & Concert Hall which features the traditional Chinese palace structure with gold roofs, overturned edges, Chinese red colonnades and colorful arches.